Created by Globish Aug 1, 2010 at 7:33am. Last updated by Globish Jun 17, 2011. Created by Globish Aug 1, 2010 at 7:32am. Last updated by Adriana Sanchez Aug 1, 2010. Are you new in the community? Tip 1: Complete your profile. Tip 2: Add some pictures. Tip 3: Join our study groups. Tip 4: Invite your friends. Created by Globish Aug 1, 2010 at 7:35am. Last updated by Globish Aug 1, 2010. Created by Globish Jun 25, 2010 at 1:10pm. Last updated by Globish Aug 1, 2010. Learn Globish in an playful and entertaining way to master the English Language in only 3 months of intensive practice. The full course contains 14 modules of teaching the 1500 words and the basic English Grammar to succeed in business and travel care free as a tourist around the Globe. 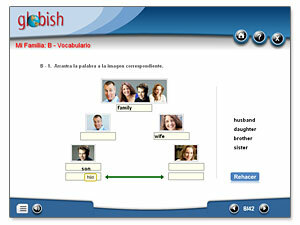 Try out our FREE Module 1 to learn Globish! Complete your profile: Go to MY PAGE and tell us about yourself. Add your photos: Go to PHOTOS and help us create our online picture dictionary. Join a discussion group: Go to GROUPS and be a member of our study groups. Got a question about Globish Club Social Network? Go to FAQs. Got a question about Globish? Please send us an email. Want to report abuse? Please send us an email. Started by Globish in Globish Learning Services. Last reply by Kin Kai Feb 15, 2011. Sign up to chat on Globish Club Social Network. Communication Confidence in English - why Globish NOT English is important!